Because of his love of the French language, J. Maxie Broussard helped to form “Le Toastmasters de Lafayette” in 1989, becoming a charter member and its first president. It is recognized as the only French-speaking Toastmasters Club in the entire United States. Maxie Broussard was born June 17, 1934 in Lafayette Parish. He graduated from Milton High School in 1952. He then graduated from SLI (now ULL) in 1959 with a B.S. degree in Agriculture, including a major in Dairy Husbandry. In 1951, Broussard owned and opened the family dairy farm in Lafayette Parish which at that time was an up-to-date facility with 100 milk cows. Broussard was very active in organizing the Southwest Pure Milk Procedures, later joining Dairymen, Inc., a 7000 member dairy co-op in the Southeastern United States. He served as a board member for the Southwest Louisiana Division of Dairymen, Inc. His success led him to eventually become a lobbyist for Dairymen, Inc. from 1972-1975. For his efforts, USL awarded Broussard as its Outstanding Alumnus, College of Agriculture in 1974. In 1962, Broussard was elected to the Lafayette Parish School Board and served for 16 years. During that time, he was elected Vice-President for 8 years and served as its president for 4 years. Although he was very instrumental in the desegregation of Parish schools, he also helped develop a building program for the updating of public schools. One of his greatest contributions to public education was his personal involvement in introducing the French language instruction into the public school system in Lafayette Parish. Because of Broussard’s dedication to his beloved French language, Lafayette Parish is now a state leader in the French Immersion program. In preparation for the Congres Mondial Acadien 1999, Broussard helped to organize the Broussard Family reunion. That organization “La Famille Beausolieul” continues to do much to promote Acadian affairs. Presently, it is working to help locate the burial site of the first Acadian to settle in Louisiana. During the early 70’s, Maxie became a real estate agent and opened J. Maxie Real Estate in Lafayette specializing in the sale of rural and commercial properties. He was instrumental in the sale of the Liberty Rice Mill in Kaplan thereby helping the community maintain over 100 jobs. Since 1995, Broussard has been working with Lafayette Consolidated Government as a right-of-way agent, Real Estate Acquisition Negotiator and Appraiser. 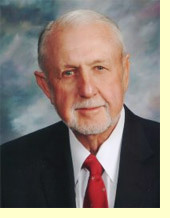 His civic activities are numerous: he is a Lafayette Parish Farm Bureau member and past president; Youngsville Lions Club member and president; Chairman of Youngsville Festival of Beauties; Private Industry Council Vice-Chairman (where he administered the JPTA on behalf of the U.S. Congress); member of Lafayette Area Wide Planning Commission representing Youngsville, Broussard, Scott, Carencro and Duson; et cetra. For ten years, he and his late wife, Audrey Louise Broussard, operated “Cajun Country Home Bed and Breakfast” on La Neuville Road, receiving French-speaking guests from throughout the francophone world. Most every politician in and around the Lafayette area have found themselves visiting the infamous "Cow Palace" to announce their candidacy for political office or to attend a supper in support of a candidate.